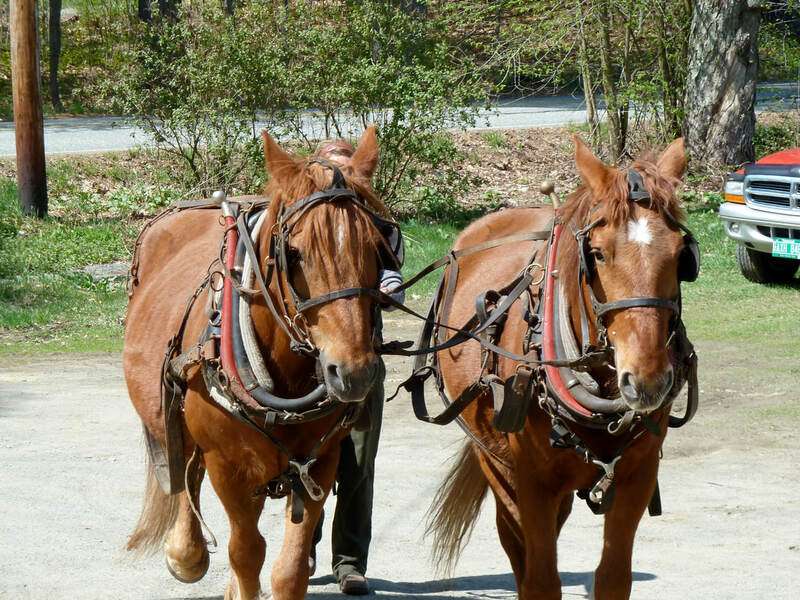 Tuesday-Friday, April 9th- 12th: Draft Horse Workshop - a four-day workshop which starts on Tuesday at 2:00 and runs through Friday at 2:00, allowing time for travel at both ends of the workshop. $550 per person / $1000 for two people from the same farm. All meals included. 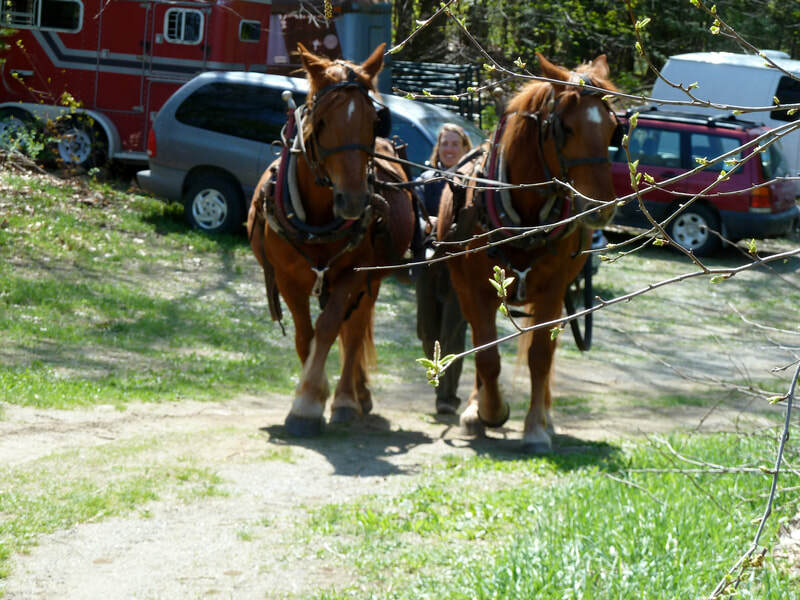 Tuesday-Friday, April 23rd-26th: Draft Horse Workshop - a four-day workshop which starts on Tuesday at 2:00 and runs through Friday at 2:00, allowing time for travel at both ends of the workshop. $550 per person / $1000 for two people from the same farm. All meals included. 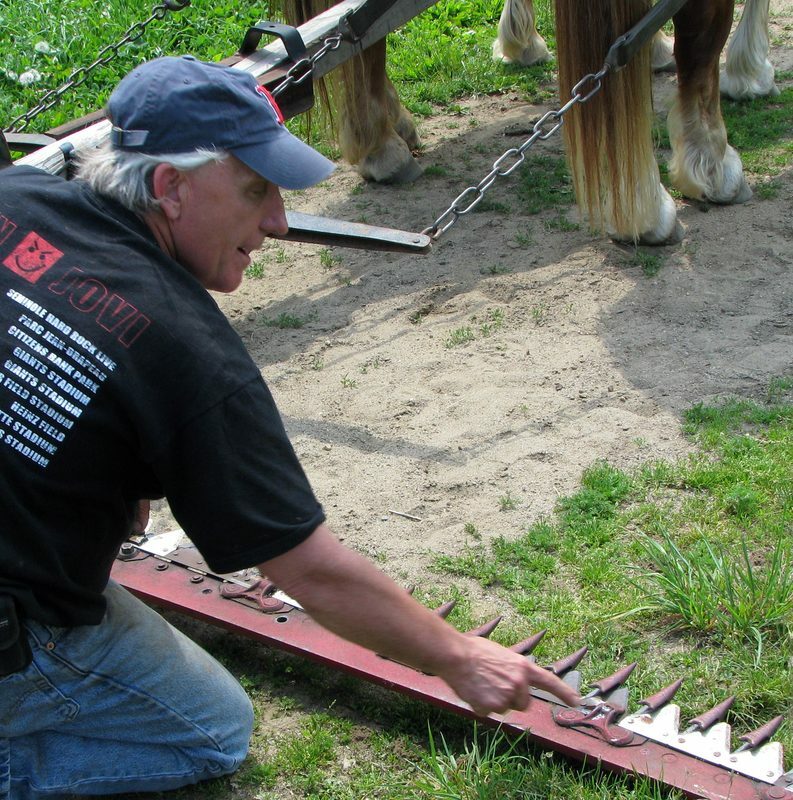 Tuesday-Friday, May 14th-17th: Draft Horse Workshop - a four-day workshop which starts on Tuesday at 2:00 and runs through Friday at 2:00, allowing time for travel at both ends of the workshop. $550 per person / $1000 for two people from the same farm. All meals included. 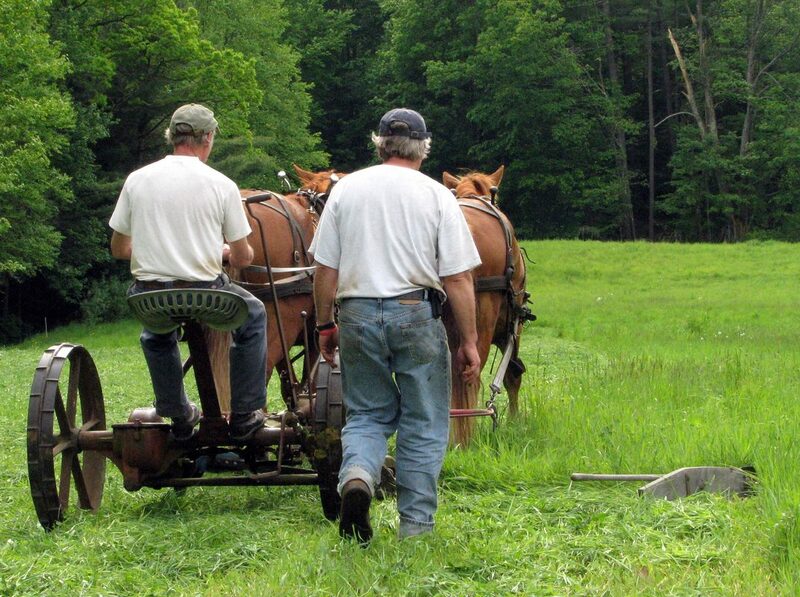 Saturday, May 25th: Plowing and Cultivating With Horses - One day intensive workshop covering the basics of plowing and cultivating with horses. Starts with breakfast at 8:00 and runs through the afternoon, includes a farm lunch . Rain or shine. $125 per person. 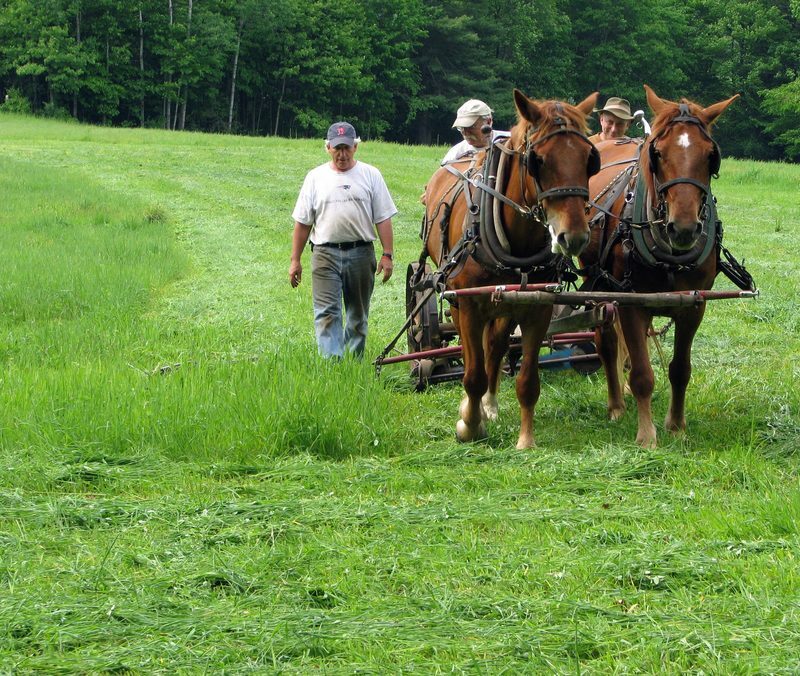 Friday & Saturday, June 7th & 8th: Mowing With Horses - One-and-a-half day Intensive Workshop covering the basics of mower adjustment and mowing with horses. Starts on Friday at 2pm and runs through the following afternoon. Supper, breakfast and lunch provided. 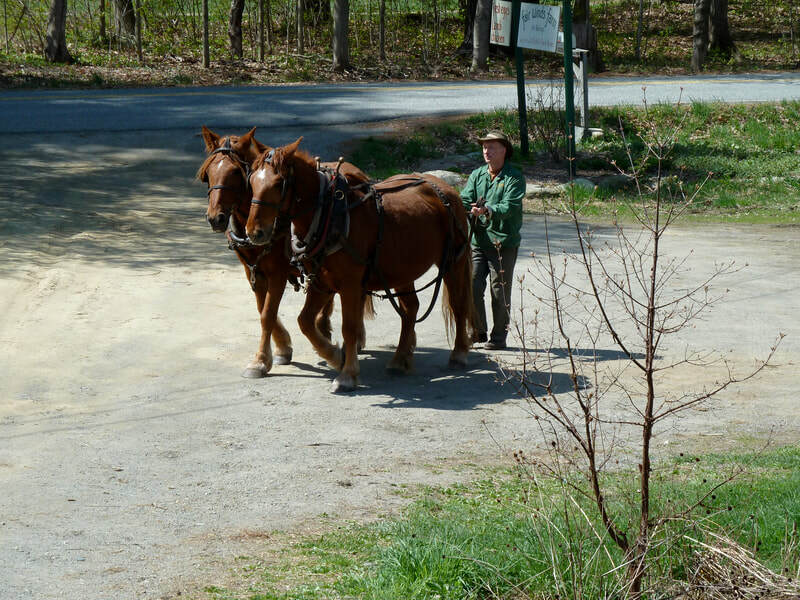 Saturday, April, 20: Hitching and working 3 & 4 Abreast - One day intensive workshop covering the basics of hitching and working 3 (&4) horses abreast in fieldwork situations. Starts with breakfast at 8:00 and runs through the afternoon, includes a farm lunch . Rain or shine. $125 per person. There are a number of hotels within 5 miles of the farm. We'll send a list with confirmation. Contact us at 802-254-9067 or email fairwinds@fairwindsfarm.org We look forward to hearing from you.